New Delhi [India] Feb 2. : Shah Rukh Khan and team 'Raees' have been on a multi-city promotional spree ever since the release of the film. And after a phenomenal experience in Hyderabad, Pune, Amritsar, the team has finally reached the movie's native city, Ahmedabad! SRK tweeted on his social networking handle saying, "With @SEWABharat in Ahmedabad. Women r my teachers. Thk u for Really believing in Koi Dhanda Chota nahi hota...lov u all Bens & Rima Ben." 'Raees' is set against the backdrop of Gujarat and the plot deals with liquor prohibition in the state where SRK plays the role of a bootlegger. It was only imperative that Shah Rukh would want to come to the 'Raees' city to interact with his fans and thoroughly entertain them. Revealed! Who does King Khan owe his career to? New Delhi [India], Nov.14 : As shocking as it may sound, but Shah Rukh Khan has recently confessed that Armaan Kohli is responsible for making him a star! Attending Ritesh-Sajid's chat show 'Yaaron Ki Baarat' alongside Anushka Sharma, the 51-year-old actor revealed that Armaan Kohli, who was the first choice for his 1992 debut release 'Deewana', quit after shooting the first schedule. The 'Dilwale' actor, known for his tongue-in-cheek remarks, said "Armaan Kohli is responsible for me being a star. He featured on the 'Deewana' poster with late Divya Bharti. I still have that poster. Thank you for making me a star." New Delhi [India], Oct. 5 : Shah Rukh Khan and Anushka Sharma were seen posing for the lens with choreographer Rudi Ageu as they seem to be finally wrapping up a dance number for their upcoming flick. The cast of Imtiaz Ali's 'The Ring' has been busy for the past weeks shooting at multiple locations in India and abroad including Prague, Amsterdam and Lisbon. Choreographer for the dance, Rudi Ageu took to his social networking handle to share a picture, where he is seen standing with the two leads. Mumbai, Feb 14 : Residents living near Bollywood star Shah Rukh Khan's residence in Mumbai rejoiced after the city's main civic body demolished an illegal ramp outside his house, which was causing inconvenience to commuters. As per reports, Brihanmumbai Municipal Corporation (BMC) workers and police reached Khan's residence, known as 'Mannat', in Bandra early on Saturday morning to raze the ramp. The illegal ramp was constructed by Khan and closed off access to the lane adjoining the house, causing hindrance to residents. Residents were perturbed as they were not being allowed to use that lane to go to Mount Mary's Church. New Delhi, Jan 27 : Shahrukh Khan has responded to the speech of US president Barack Obama after he quoted actor's DDLJ's famous "Senorita" dialogue. The 49-year-old actor took to Twitter to express his happiness and posted, "Proud 2 b part of the gender and religion equality speech of Pres. Obama. Sad he couldn't do the Bhangra... next time Chaiyya Chaiyya for sure." While addressing the crowd at the Siri Fort Auditorium on the last pit stop of his three-day visit to India, President Obama said he remembered his previous visit in 2010 and "dancing the Bhangra" with his wife, Michelle Obama at an event in Mumbai. Washington, Dec 23 : Shah Rukh Khan's production company 'Red Chillies Entertainment' has recently made the movie 'Happy New Year' available online internationally for vewing and downloading, apart from India and China. Red Chillies Entertainment decided to take their film online and said that the most important aspect for any filmmaker was that his or her film reaches the maximum amount of people, and especially when the exchange of information had become much faster because of the digital boom, Deadline. com reported. New Delhi, December 13 : Bollywood love-epic ' Dilwale Dulhania Le Jayenge' recently completed 1000 glorious weeks in Maratha Mandir theatre in Mumbai. The film, starring Bollywood actor Shah Rukh Khan in the lead opposite actress Kajol , had made movie buffs go crazy by portraying fairytale romance and confronting traditional ideologies. The movie was released in October 1995. The historic moment of Indian cinema was celebrated in Maratha Mandir where the movie has been running since its release. The stars also released a book based on their movie. 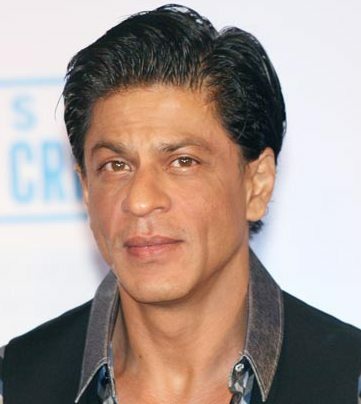 Thanking fans and makers of the film, Khan said that he had no idea that it would be such a huge success. Mumbai, Oct 28 : Shah Rukh Khan and the star cast of his recently released film 'Happy New Year' celebrated the grand success of their movie -based mobile game on Monday in Mumbai. Khan has joined hands with Vroovy to launch the official game, "Happy New Year: The Game", which is available on iOS, Android and also Facebook. The official mobile game of ' Happy New Year' was out on Android and iOS last week and is a side scroller, action game with eight levels and six playable characters. The entire star cast of the film was present at a news conference to promote the mobile game which encapsulates the essence of the film. Mumbai, Oct 15 : Bollywood actor Shahrukh Khan on Wednesday urged the people of Maharashtra to cast their votes in the assembly polls to ensure that their voice is heard. After casting his vote for the Maharashtra Assembly polls here, Shahrukh said the people should realize how important it is to vote for one's state and country. "It's your right and unless you exercise this right you cannot be asking for anything else. Please come and exercise your vote. If you want your voice to be heard, if you want your city, your state, your country to be the way it should be then everybody should come out and vote," he added. London: Superstar Shah Rukh Khan credited the Indian community based in Britain for Bollywood's popularity and his own success. The 48-year-old actor was in London with his 'Happy New Year' team, including co-stars Deepika Padukone and Abhishek Bachchan as well as director Farah Khan. "London has always been the pioneer in terms of the Diaspora taking our films to the level that they have achieved. We are stars because of all the people here in London and Britain who have appreciated and backed our films," Shah Rukh Khan said during a press conference in London on Sunday. Mumbai: Superstar Shah Rukh Khan led bidders at the Osian's auction of rare and vintage film memorabilia here as he bought two majestic original posters of 'Mughal-e-Azam' for Rs 6.84 lakh. Last night's sale, part of the auction house's 'Greatest Indian Show on Earth' series, saw 163 of the 220 lots being sold for Rs 55.60 lakh. A painting by Arpana Caur 'Pyaar hua, Iqraar hua' showcasing the famous under the umbrella scene of Raj Kapoor and Nargis from 'Shree 420' fetched the highest price of Rs 7.5 lakh followed by an original hand-painted hard board standee of 'Yahudi' with Dilip Kumar and Meena Kumari in their famous embrace which went for Rs 4.8 lakh. Mumbai: Superstar Shah Rukh Khan says his biggest dream is to make a film that everyone would be proud of. "My maddest dream is to make the most beautiful film before I die, which everyone across the world should watch and be proud of," Shah Rukh told reporters here at an event last night. The 48-year-old actor, also known to be a doting father of his three children, says he nurture small dreams and wants his children to be healthy and happy. New Delhi, June 26 : France has decided to honour Bollywood actor Shah Rukh Khan with the 'Legion of France', one of its highest civilian awards. French Foreign Minister Laurent Fabius will present the award to Khan next week. Fabius is scheduled to arrive in New Delhi on June 29 to meet External Affairs Minister (EAM) Sushma Swaraj. Post the meeting, Fabius will be leaving for Mumbai to present the award to the superstar. New Delhi, June 16 : Shahrukh Khan, who was spotted celebrating Father's Day with the kids of 'Smile' foundation at KidZani in Mumbai, said he was missing his kids who were not with him on this special day. New Delhi, June 15 : As the world celebrates 'Father's Day' today, Bollywood superstar Shahrukh Khan has decided to dedicate his afternoon to children. The 48-year-old father-of three took to Twitter, where he welcomed kids from everywhere to come and join him at Kidzania, a Mexican company which allows children to work in adult jobs, in Mumbai. Mumbai, May 16 : Superstar Shah Rukh Khan isn't one to mind makeovers for films. After sporting a beard for the past few days, he is now clean shaven for the "Happy New Year" (HNY) shoot. "So pretty the set we are working on especially as the sun sets. Beard gone... thanks Farah (Khan) and your awesome team for HNY," the King Khan posted on Twitter Thursday. New Delhi, May 14 : Shah Rukh Khan has graced the cover of a special edition of Forbes Middle East as he made it to the magazine's 'Top Indian Leaders in the Arab World' list. The 48-year-old superstar took to Twitter before leaving for the magazine 's launch in Dubai, and wrote, " Forbes Middle East made me feel special with their special edition cover story on my work in entertainment. Off to Dubai for the launch. Thank you all." Mumbai, April 14 : Varun Dhawan, who went all out for the publicity of his latest release "Main Tera Hero", says superstar Shah Rukh Khan is his role model when it comes to film marketing. "My role model for marketing films is Shah Rukh Khan. He is unbelievable. Look at how he marketed 'Chennai Express', said Varun. In "Main Tera Hero", Bollywood's other beloved Khan, Salman, has lent his voice. Isn't he a role model for Varun? Mumbai, March 29 : Superstar Shah Rukh Khan was in a nostalgic mood Saturday as he missed his parents, who he feels "went too early"
"Talking to boys on the sets…we talked of our parents. Miss my parents now on the drive back from the shoot. They went too early," the 48-year-old posted on his Twitter page early Saturday morning. The actor's father Taj Mohammed Khan, who came from Peshawar, had died of cancer when SRK was all of 15, while his mother passed away in 1990 after prolonged illness.